What’s key to establishing powerful training for your employees? Building employee training programs that plan from A to Z what your organization should be doing, that’s what. But if you’re about to jump into your first employee training plan or you want to elevate your current training, how do you get started? Let’s help you get off on the right foot with this walkthrough on how to build employee training programs. When well prepared and realized, employee training programs are worth the investment. The potential benefits of employee training programs are apparent, but how do you actually create an effective program for your employees? Here are 6 tips that will help you on your way. Every good training plan starts with an investigation. You need to analyze your current training tactics and structure. 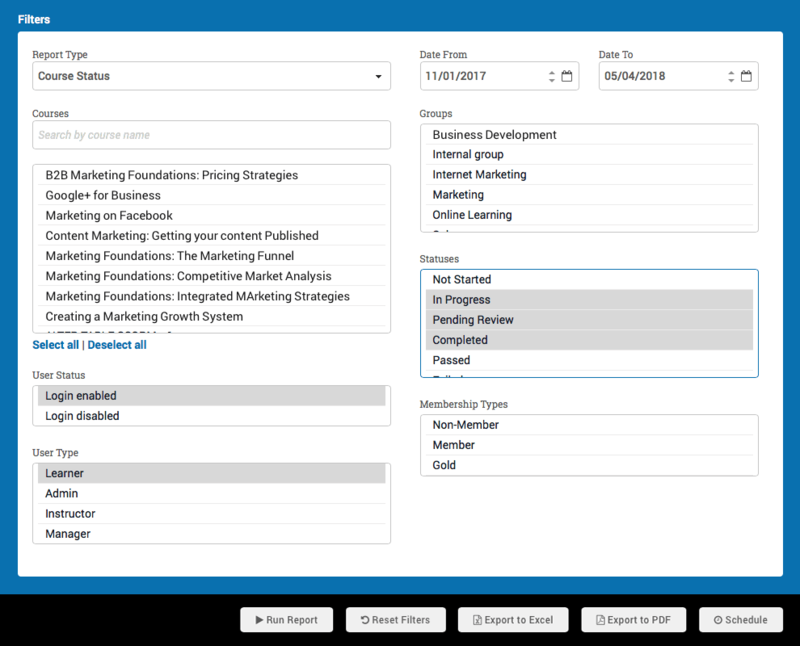 It’s here you’ll clearly see knowledge gaps so you can build a training strategy to tackle them. What training documents do we give our new hires and employees? Are their issues/problems within your business that training can address? What training is already taking place? What feedback have employees given in regards to knowledge gaps or training needs? How can your business support careers development and upskilling? What are our business goals? And what training will help us to achieve them? What tools do our employees need to be trained to use? Whether it’s formal training courses that are assessed, or informal training through the sharing of information between employees, you need to know what training is taking place. Approach your teams too. Ask management what resources they recommend or give to employees. And ask employees where they feel there’s a disconnect in training or knowledge. More experienced trainers can try ADDIE, a great method for gap analysis and for organizing the production of your course content. We’ve written a full guide to this instructional design model that will help you to evaluate your training needs. How you’ll deliver your training rests on a number of factors. The size of your organization, the location of your learners, and the training you plan on delivering all influence your decision. Many businesses start off small with on-site, face-to-face training, but find it’s costly and difficult to scale. They quickly graduate to online training as they are scalable, measurable and formalize the delivery of your employee training programs. A mix of face-to-face and tech-based methods, known as blended learning, is also an option. You can fuse webinars, classroom-based learning, and online assessments in clever ways to train your employees. For example, you could run an introductory webinar to introduce your new training to your learners, then upload it to your LMS for them to rewatch and get your employees to do a quiz based on the content of the webinar. After your training research and planning, it’s smart to set goals or targets for your training. With a group of courses - Example: If we deliver employee onboarding courses, our new hires will develop the skills they need to become a productive team member faster. The results of this could then be compared to employees who did not get onboarding training courses to measure the impact. No matter your targets, it’s critical you have them in place for your training. It gives you something to benchmark your success against to see if your efforts have an impact. An effective employee training plan needs an arsenal of trusty tools to help create and deliver your training. The tools you need hinge on the type of training you plan on delivering. If you’re just starting out with online training you’ll need a learning management system (LMS) to deliver, manage and track the training. If you already have an LMS, authoring tools, webinar and content creation software are something you’ll want to research. The success of an employee training program balances on a number of elements. One of the most important is communication. Your organization needs to embrace training as a whole and develop a learning culture. This starts with management. Once they are on board with training their employees, it will filter down throughout the business. It’s a great idea to get your managers to do test courses so they realize the power of training. Promote the goals you plan on reaching too so that they understand the benefits and will be motivated bring awareness to your training. Your employees can be sold the goals too. They will develop skills and have more career development opportunities - a big motivator for them. With the right tools, measuring the impact of your training is easily done. An LMS offers invaluable reports that show you learner progression, exam results, ILT attendance and more. From here, measure the results against your goals to see if the training has had an impact. Using our example above on delivering support team training for a new tool, we can compare the number of people who completed the course to the uptake of the support tool and, in time, also look at how much faster support queries are answered. Feedback is also an important tool you can use to measure your training. Through surveys, comments, and face-to-face chats, you can get valuable information about how your training is being received. You can then use this information to improve and refine your employee training and development. Ultimately, designing a training program for employees is all about setting out a plan. If you research and invest in your training, the results will be apparent. For your business, training leads to a more skilled team that help your growth. For your employees, they’re also gaining skills and enhancing their proficiency. It’s a strategy that really pays off in the long run.